JUnit 5 has been under development for about 14 months now and the prototype is almost a year old. Time to summarize what happened so far, where the project stands, and where it’s going. All technical details are based on the current JUnit version, milestone 2. You will find more information in the official user guide, with separate versions for milestone 2 and the most recent build, or on my blog, where I wrote a series about JUnit 5, that I update whenever a new milestone is released. Part of JUnit’s success comes from its great tool support, for which tool creators went as far as using reflection (down to private fields) to access information that the API would not hand out. This bound tools to implementation details, which in turn made it hard for JUnit’s maintainers to evolve it – nobody likes breaking downstream projects. This is an important reason for why JUnit’s progress has basically come to a halt. Then there are the runners and the rules. They were created to extend JUnit and did a good job at that – good but not superb. Runners are a heavyweight concept where one has to manage the whole test lifecycle. But worse, you can only use a single runner at a time – a very strict limitation. That’s why rules were introduced in 4.7. While much simpler and mostly composable, they have other drawbacks – namely that they are limited to certain kinds of behavior, which can best be summarized as before/after. Last and least was the Java version. Everybody wants to play with lambdas nowadays and having JUnit 4 require Java 8 would have been a hard sell. So in 2015 a team formed around the idea of a complete rewrite. At first dubbed JUnit Lambda, the project did a successful crowdfunding campaign and came up with enough money and employer sponsorship to work on it full time for six months. Workshops, a prototype, an alpha version, and two milestones followed and since earlier this year the project is called JUnit 5. By now, the funds are used up and it is developed like so many other great open source projects: by dedicated people in their free time during the day’s first and last hours. The team is currently completing the third milestone and has plan for a least two more before a release candidate is even considered. But we’ll come back to that. Let’s first look at what we’ve got in our hands at the moment. Test classes and methods can be package visible. Interface default methods can be test methods. @Test no longer takes parameters. Expected exceptions and timeouts are realized via assertions. You can create tests dynamically at run time with @TestFactory annotated methods (more on that later). In assertions, failure messages come last and can be created lazily. A new assertion assertAll executes the given checks and always reports all results, even if some assertions failed. @Nested can be used to run tests in inner classes. @DisplayName assigns human readable names to tests. Runners and rules are gone and replaced by a new extension mechanism that integrates seamlessly with the native API (more on that later). Tests can have parameters, where instances are created by extensions (again, later). // failures will be reported together. Not bad, right? For more have a look at the user guide or my post covering the basics. Native IDE support is a must-have for any serious testing framework. JUnit 5 is not there yet but that’s understandable considering that it is not even officially released. IntelliJ, since 2016.2, has built-in support that works reasonably well. The Eclipse team started working on it – see the corresponding issues in JUnit’s and in Eclipse’s bug tracker. NetBeans has no support and I could not even find an issue. What about native build tool support? The JUnit team implemented a Maven Surefire provider and a Gradle plugin but these are just proofs of concept. To fully integrate and battle-test them, the team would like the respective projects to take over these code bases. For Maven that process just started by relicensing the source code under the Apache License. An issue in Apache’s JIRA tracks the progress. I saw no Gradle-related activity on the JUnit project and could not find an issue related to JUnit 5. See the user guide for setup details. Now that you know how to write and run JUnit 5 tests, let’s go beyond the basics and take a peek into more advances topics. Dynamic tests are a new concept in JUnit 5. They allow the easy creation of tests at run time that tools will recognize as full test cases. This has the substantial drawback that while, conceptually, these are many tests, to JUnit it’s just one. First among the undesired consequences is that as soon as the first test fails all others aren’t even executed. Another is that tools, IDEs in particular, will report this as a single test, which is not ideal either. JUnit 5 gives us an out. Test code can be wrapped into a DynamicTest instance that is created at run time. Methods that return them can be annotated with the new @TestFactory annotation and JUnit will call them, insert the created tests into the test plan, and execute them. I already alluded to JUnit 4’s runners and rules. They are gone, replaced by extension points, which third party code can interact with. Here’s how that works. For each parameter, JUnit will call support on every registered extension, throw an exception if not exactly one of them returns true, and otherwise request the one extension to resolve the parameter. To create an extension you simply implement the interfaces corresponding to the extension points you want to interact with and register your class with JUnit. During test execution JUnit will pause at each extension point, gather all relevant information into an ExtensionContext instance, and call all extensions that registered with that point. The extension context gives access to many interesting things, for example the test class or method as AnnotatedElements, so an extension can reflect over them. Then there is the ExtensionStore. Because JUnit has no interest in tracking extension instances, it makes no guarantees about their lifecycle. Extension classes should hence be stateless and can use the store to persist information. Another interesting aspect is the TestReporter, which allows extensions (and tests for that matter) to publish messages in a way that can easily be picked up by external tools. 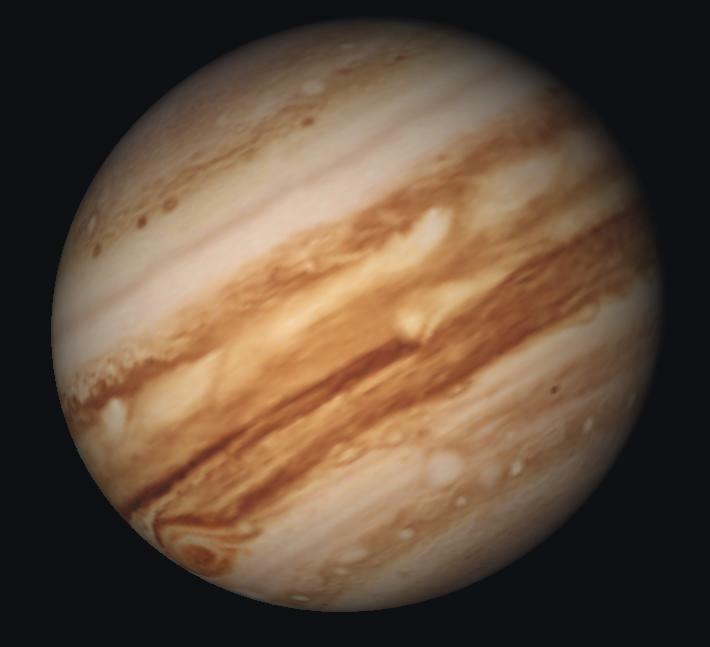 JUnit Jupiter provides the API that we have talked about so far and an engine that discovers and runs tests. JUnit Vintage adapts JUnit 3/4 to run within JUnit 5’s new architecture, which means it also provides an engine. JUnit Platform is where the magic happens. It provides an API for tools to instruct test execution and when that gets called, it locates test engines (like the two above), forwards the instruction to them, and lets them do their thing. This is a big deal! Creating a new testing framework is an uphill battle because adoption depends on tool support and tool support depends on adoption. Now frameworks can break out of that vicious cycle! They can implement a JUnit engine and get full support in many tools from day 1. This might give rise to a new generation of testing frameworks! JUnit is in very good shape and can already be used to replace vanilla JUnit 4. But, in accordance with the Pareto Principle, there is still some work to be done before it is ready to fulfill all use cases. A lot of very interesting topics are being discussed! Wouldn’t it be great to create adapters for existing JUnit 4 rules? That would make migrating tests to JUnit Jupiter’s API (as opposed to just running them within JUnit 5) a lot easier. Issue #433 is exploring exactly that. But code is not the only good thing a project can produce. Issues #169 and #292 aim at providing a good migration guide from 4 to 5. Personally, I think something’s missing from dynamic tests. It would be great for extensions to interact with this feature! One way to do that would be an extension point into which third party libraries could hook to inject dynamically created tests. They could then come up with interesting APIs to parameterize tests, for example. Talk is cheap. though, so I created an issue and a prototypical implementation for that feature. I hope it will be looked into during development of milestone 4. Another detail is that while test factory methods are part of the full lifecycle, the dynamic tests they create are not. Meaning before and after callbacks or parameter resolution do not work for dynamic tests. This is tracked by an issue and I am sure a solution will be found before the release. A big topic are scenario tests, which is JUnit’s nomenclature for tests that are ordered and operate on common state (tracked by #48). TestNG offers this already and is an important reason for people to move away from JUnit. Well was a reason. Let’s say we have a class encapsulating a REST API. With scenario tests we could have a first test that creates an instance, a second test could initialize it, a third logs in a user, and so forth. The state remains from test to test and those are mutating it in a fashion that prepares it for the next. So what’s the plan for the following months? Sometime during the next couple of weeks milestone 3 will be released, which focuses on interoperability with JUnit 4 and an improved API for tools. After that, two more milestones are scheduled, number 4 focusing on parameterized tests, enhanced dynamic tests, and documentation, and number 5 on scenario tests, repeated tests, and test execution in user-defined thread. We took a quick tour through the API we’re going to write tests against and saw that it was similar to JUnit 4’s but contains a lot of thoughtful additions. Most notably are built-in support for nested tests, human-readable display name and dynamically created tests. 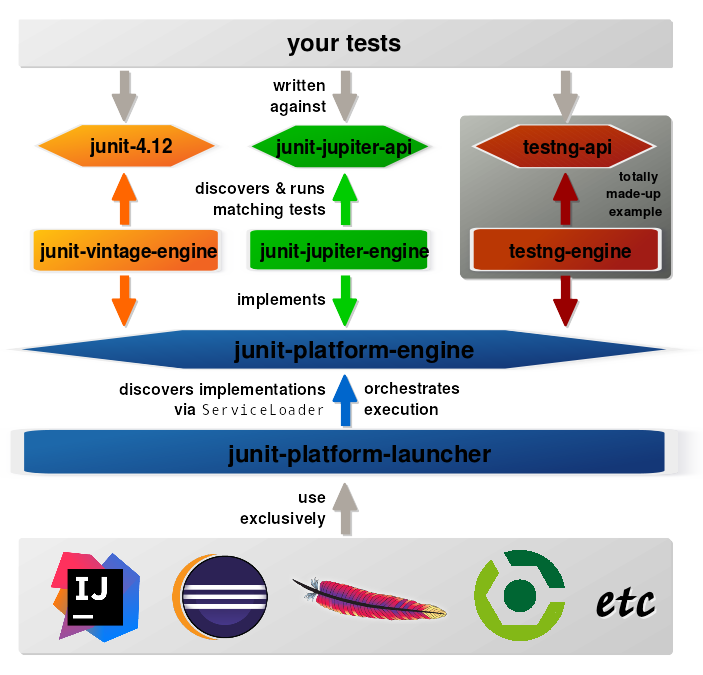 The extension model is very promising and the architecture, splitting JUnit 5 into Jupiter, Vintage and Platform, is just gorgeous, endowing other test frameworks with full tool support as soon as they’re implementing an engine. On the soft side, we’ve gone through the history behind JUnit 5 and spent some time discussing the current state of tool support, which – with the exception of IntelliJ – is still lacking. We finally looked at some of the ongoing discussion and future developments, which I think are as thrilling as they are promising. I can’t wait to see the JUnit 5 GA release – hopefully some time in 2017.